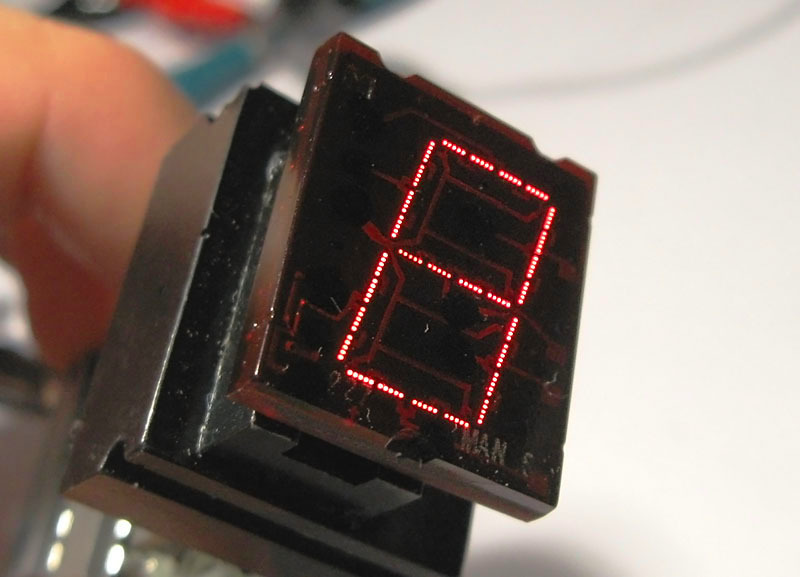 The MAN6A is Monsanto's first attempt at marketing a LED display with a larger digit size than their earlier DIP LED displays like the MAN1A. 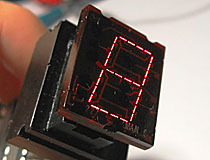 The MAN6 utilizes the same LED dies as a MAN1, but each segment is constructed out of four dies instead of two, which doubles the displayed digit size. Even though the MAN6A is packaged in an unusual square package, it retains the same pinout and base configuration as a MAN1; one row of pins has been offset to allow the larger package to be inserted into a standard 14-pin DIP socket. The multitude of extra dies in the MAN6A made it a costly device to produce, which resulted in the displays seeing little commercial application. 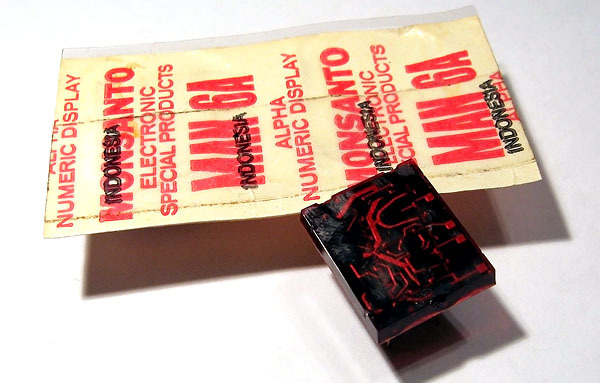 Monsanto also made a jumbo-sized overflow indicator to go with the MAN6A, the MAN601A. As hilarious as it may sound, the MAN601A uses the exact same number of dies as a MAN-1 series overflow indicator - the dies have simply been spread out with large gaps in order to make the size of the displayed digit match the MAN6A. The MAN601A easily ranks as one of the ugliest overflow indicators ever constructed by humanity. Monsanto MAN6 jumbo LED display. MAN-6A display shown with original blister packaging. Monsanto MAN601A jumbo overflow indicator, a complimentary display to the MAN6A. 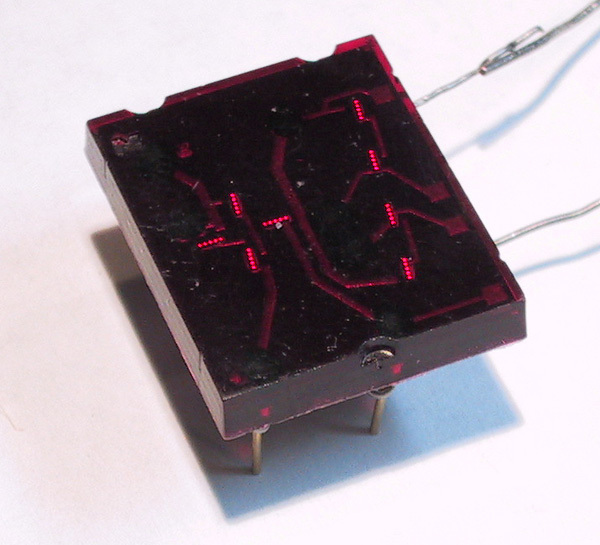 Litronix made their own version of the MAN6A LED, which were sold in fitted plastic trays. 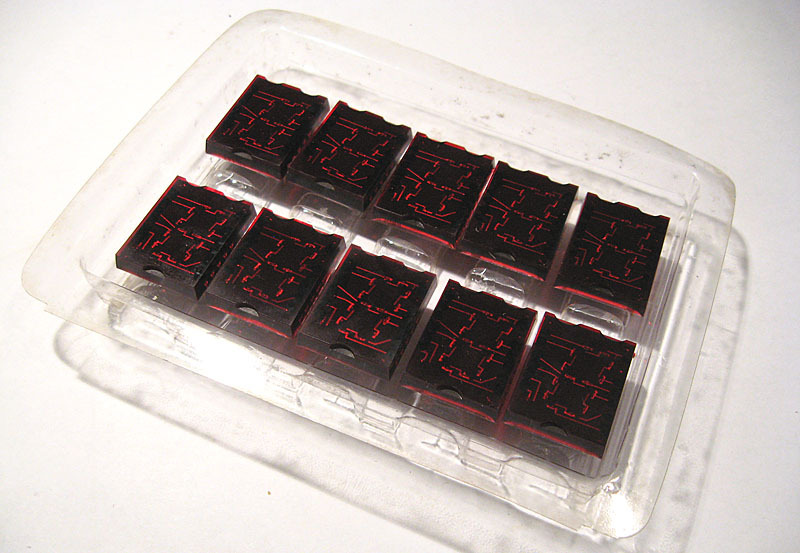 Each tray could hold 10 LEDs.